ALE, a global provider of communications solutions and services operating under the Alcatel-Lucent Enterprise, announced the results of research conducted in collaboration with TPNET and focused on the adoption of managed services in the Network On Demand within companies and various market sectors. The study, titled “Network On Demand: The future for network infrastructure companies,” shows that the most popular services are the maintenance and support infrastructure (21.4%), managed services for network infrastructure (17.9%), data storage (17.9%), printers (14.3%), security (10.7%), the server (7.1%) and cloud voice communication (7%). The research fits perfectly in the results of a recent study by IDC, which states that by 2020, 80% of enterprise network infrastructure will be provided with a pay-per-use model. The main advantages of this model are given by both the reduction or even the cancellation of investments related to the equipment, either by the possibility of having a network managed by a team of experts able to cope with an environment whose complexity is constantly evolving. With managed services, companies use only what they need by paying for what they use, and it allows to have a flexible structure that responds to network and connectivity needs. According to ZK Research, multinationals, and large enterprises on average require more than 30 software updates for their network infrastructure, making management a real challenge. Nearly 65% of enterprises use their own staff for management and maintenance of network infrastructure, while 20.7% use external suppliers. Less than 5% said they have an external contract, which also includes the complete management of network services. The research also shows that 40% of respondents recognized the cost as one of the main benefits of managed services; 35% said that the greatest benefit is the ability to improve the network without having to invest in the new budget. One in four has then recognized as a convenience free updates on hardware and software. Finally, about 18% think that the most significant advantage is the reduction of its commitment to IT network management, as well as the flexibility to apply network resource when required. DedicatedSolutions provides the high performance hosting infrastructure behind diverse organizations in various countries worldwide. 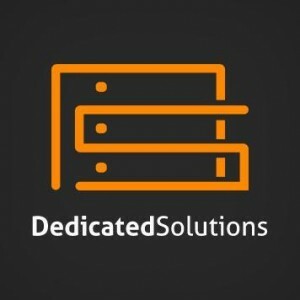 DedicatedSolutions offers a wide range of quality hosting products, all designed to give you the very best possible conditions to host your site or to run your business. From a simple Webserver up to complex enterprise solutions such as Database Clusters, Terminal Server, and Communication Software – DedicatedSolutions got you covered! This entry was posted in DedicatedSolutions, Hosting Services, Industry News, Managed Services and tagged Alcatel-Lucent Enterprise, DedicatedSolutions, Managed Hosting, Managed Services, managed solutions, TPNET on September 11, 2016 by marketing. The market for cloud infrastructure-as-a-service matures and develops very quickly. Strategic suppliers must be chosen carefully. Leading IT users expect more from your service providers. Successful IT outsourcing providers offer a broad, profound service offering that is a variety of IT infrastructure and. As changed the composition of IT services, depending on the priorities of the company, IT departments need access to a complete range of reliable IT services. DedicatedSolutions enjoy recognition as the leader in hybrid IT structures with the practical experience that allows us to make the right mix of technology modules locate depending on the needs of your company, your workload and the expectations of the end user. 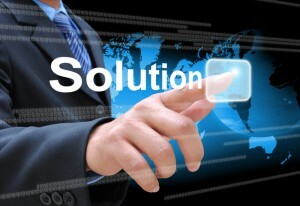 DedicatedSolutions may help you to get the right mix of IT services from a single competent and reliable partner. Integrated, customized and optimized solutions from multiple IT infrastructure models combine technological opportunities with the company’s needs. Combine the best of your traditional IT with additional capacity that could lift your IT alone. Select individual offers, co-managed or fully managed solutions that are based on the priorities of your business. DedicatedSolutions offers a wide range of quality hosting products, all designed to give you the very best possible conditions to host your site or to run your business. From small shared accounts, through reseller accounts, virtual private servers and up to fully managed dedicated servers, you can find it with us. We have the agility, scalability, and security that is expected of an enterprise-class cloud and is also supported by an industry-leading global network. DedicatedSolutions provides a hybrid-enabled cloud with all the controls, automation and advanced functions that are required for the promotion of business solutions. You get cloud infrastructure, platform services, orchestration and managed services in a single, integrated platform of DedicatedSolutions. This entry was posted in DedicatedSolutions, Hosting Services, Managed Services and tagged Cloud Hosting, DedicatedSolutions, hybrid cloud, Managed Hosting, Managed Services, Private Cloud, Public Cloud on July 3, 2016 by marketing. Spend too much time managing your network and infrastructure that they would prefer to use for expanding your business? Let us assume the daily routines that get the performance of the network so that you can distribute your resources on more important projects. DedicatedSolutions managed services offer a customized, fully managed solution with flexible pricing structures and dedicated support that accepts your hardware and software installation and maintenance, proactive management and around-the-clock surveillance. Managed Enterprise combines the power of our class-leading high-performance network with the active data monitoring by qualified engineers, cloud expertise and comprehensive options for managed security systems. Put a precious resource and personnel on mission-critical tasks instead of routine daily maintenance. DedicatedSolutions managed services ensure the protection and optimization of your network, your applications, and your infrastructure so that you can take the business to keep pace and stay competitive. This entry was posted in DedicatedSolutions, Managed Services and tagged DedicatedSolutions, Managed Services, managed solutions on June 30, 2016 by marketing.